Barren is a primary biome type which is devoid of any creatures, ore, plants or even weather. Ship navigation states they're a 'low' threat level, geared toward tier 1 progression, but because they have no monsters or hazards there's actually no danger to players. No matter how far underground players dig they'll never encounter ore, liquid or monsters on barren planets. However, if players pillar upward instead, they will find large flying creatures at high altitudes and Copper, Silver and Gold ores in the asteroids at the top of the world. Barren planets can be found orbiting any star types. They're always primary planets, never moons; have about a 5% chance to spawn in any system; and are about twice as likely to spawn in the outermost orbital ring. Players landing on them don't require any EPP or special protective equipment to survive. Barren worlds are well suited to building because of their safe environment and relatively flat topography. This location is barren and lifeless. Readings show there is nothing here. An empty, empty place. Readings indicate that the landing site is of unusual hue. Also, that it is a barren location and would be suitable for construction. Barren planets are primarily made up of dry sand, dry dirt, rough stone, and dire stone. The surface has no other natural features, crops, trees, grass or bushes. There's no ore found on barren planets (but their asteroids do contain Copper, Silver and Gold ores), and the core contains no lava. Digging underground to the bottom of a barren world will instantly kill players when they touch the bottom of the planet. There's no plant life or water of any kind found naturally on barren worlds. Barren biomes use their own two sets of music tracks for day and night. 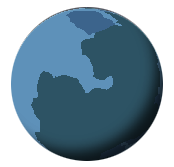 Barren planets do not have any sub biomes, but Barren biomes have a chance of being found as a sub biome on desert, savannah and midnight planets. There are no mini biomes which can be found in barren biomes or on barren planets. Barren planets have a very uninteresting layer composition, though they actually do have ore and monsters, surprisingly enough. Weather does not occur on barren planets. It is clear and weatherless every day. No crops can be found growing on barren planets. No monsters can be found in barren biomes, not even procedurally generated monsters. No critters or bugs are found on barren worlds either. Barren planets only use 1 large flying creature to populate their atmosphere layer. 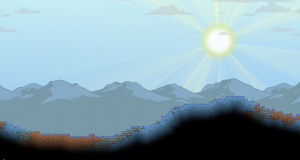 There are no drops unique to barren biomes. There are no villages or dungeons found in biomes. This page was last modified on 17 December 2018, at 14:47.